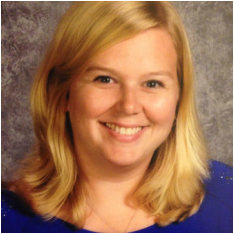 I am Mrs. Margraves and I’m very excited to be your teacher this year! I am a Catholic disciple, a daughter, a sister, a friend, and (my favorite role!) a Mommy to my little Noah (April 15, 2017). I am also a graduate of St. John the Baptist Elementary School and St. Mary's Catholic Central here in Monroe. I have an Associates degree from Monroe County Community College and Bachelors degree in elementary education from Eastern Michigan University. I have been with MCES since the beginning in 2012 and I love every minute of it! I am looking forward to another memorable year with our amazing students! Lucky Year 7! Contact me at any time if you have questions or concerns! 4/18 Returning childcare-8th grade families must register by today to avoid the $150 per-student late fee for the 2019-20 school year. Packets were sent home in February and extras are available at any school office. Morning Assembly begins in the gym at 7:45. This is the start of the school day. Please do your best to have your children to school by 7:45. If you arrive to school after 7:45 am, please walk your student into the school office and sign them in. Our Class Code is LHT77 if you would like to order books for your student online. If you ever need additional copies , please email/SeeSaw me for a copy to come home from school. Please Read this New Information: The health and safety of our Monroe Catholic School students is our top priority. Due to the impact sugary snacks have on the health and behavior of our students, along with the sensitivity/severity of several types of allergies on both our St. Michael and St. John Campuses, edible birthday treats cannot be passed out at school this year. Students that would like to bring in birthday treats for their classmates may share something that is non-edible such as pencils, stickers, small toys, etc. Edible birthday treats have too much of an impact on our school day and will be sent home if they are sent to school. We want our children to feel special on their big day but believe we can achieve this through non-edible treats and other special attention in their classroom. Thank you for your cooperation, understanding and attention to this policy. If your student is hosting a party (birthday or other), please know that the MCES policy on invitations states that they cannot be passed out at school unless each student in the class receives an invitation. A boy student can invite just all the boys. A girl student can invite just all the girls. However the party is arranged, all students should feel included. If you can only invite a few students, please find addresses for students in the MCES directory. Thank you for supporting the feelings of all of our students. even for after school care or bus rides. We want to keep your students and their property safe. Thank you for your support! Check out our SeeSaw for the weekly family announcement! 4/19-4/22 No School - Easter Weekend - Childcare and Latchkey Closed. 4/30 Annual Tuition Assistance Program online applications through FACTS click here for the Archdiocese of Detroit are due. Your Pastor's signature form should have already been turned into Laureen Hussey for processing. 5/15 No afternoon MPS buses for students who ride the Monroe Public School buses home. SMCC shuttles will run as normal. 5/17 Families who wish to pay in full for the 2019-20 school year, your payment due date is today to avoid a late fee. Turn in full payment to any office. 5/27 No School - Memorial Day - Childcare and Latchkey Closed. What do good citizens do? English/Grammar:​ Possessive Pronouns; It shows who or what owns something. It takes the place of a possessive noun.